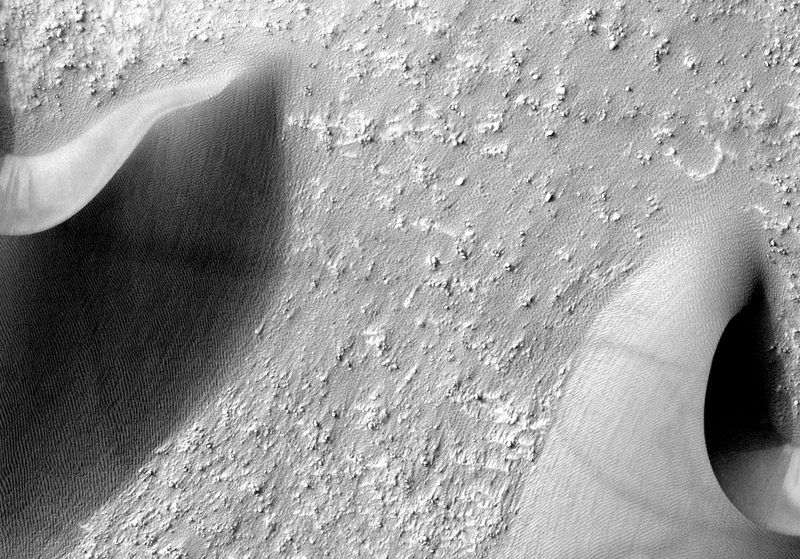 This observation shows dunes on the floor of the large, degraded Arkhangelsky Crater in the Southern hemisphere of Mars. 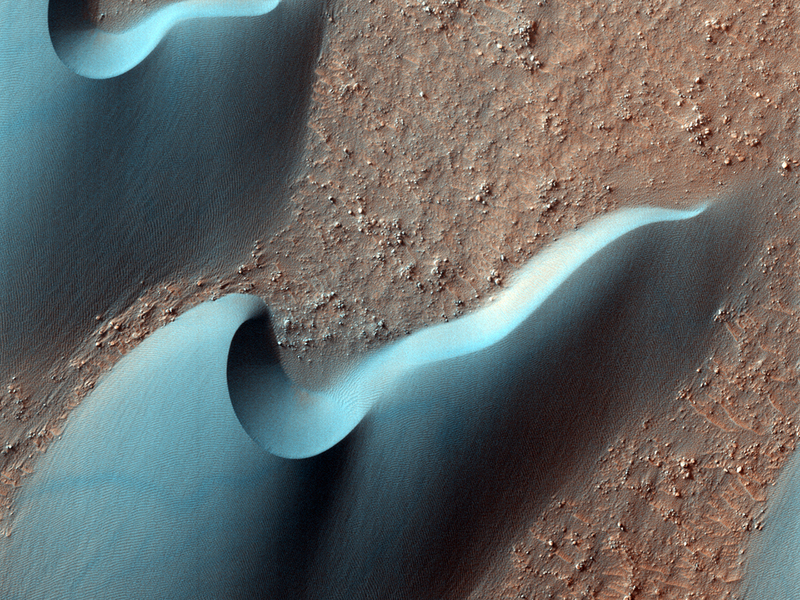 Most of the dunes visible in this observation are barchan dunes. On barchan dunes, the steep slip face is between two “l;horns” that point downwind. In this case the dunes tell us that the wind direction is approximately from South-Southeast to North-Northwest. Dust devils that pass through this area strip dust off of the ground, leaving tracks. In this observation, the dust devil tracks are clearly visible on the dunes, but are much less obvious on the rocky crater floor. When the thin coating of bright dust that covers the dunes is removed from the relatively dark dunes by dust devils, there is a clear contrast between the newly clean dune surface and the rest of the dune. Although it is difficult to see the dust devil tracks on the crater floor, if you look closely, you can actually follow tracks from a dune to the crater floor and even back onto another dune.